 The experience and specialist knowledge of JMD Ross and its select panel of insurers enable us to offer clients a first-class claims handling facility. We work in partnership with clients and take a continual, proactive approach to managing issues, which is unique in the broking industry. We assist and advise clients on written responses and ways to approach potential meetings. Where appropriate, we can attend meetings with clients. Who do I contact in order to make my claim? How do I lodge my claim? What information do I need in order to lodge a claim? Ring your Account Manager or JMD Ross Claims Manager David Millar on +61 (0)2 9478 0811 or email dmillar@jmdross.com.au. They will confirm the appropriate procedure. Insurers generally require a completed claim form and supporting documentation, which could include proof of purchase, photographs, and receipts.